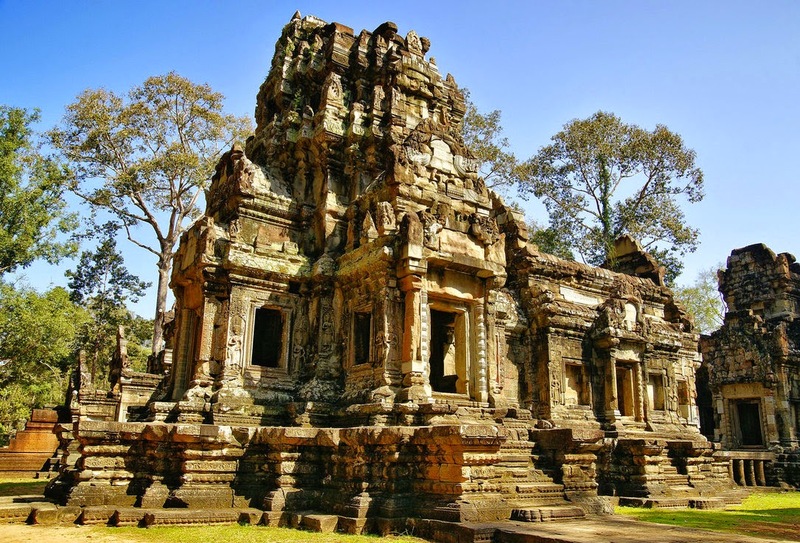 The hundred of temples at Angkor surviving today is not only reflects the Cambodia long history but also the tourist attraction for both Cambodian and foreigners. 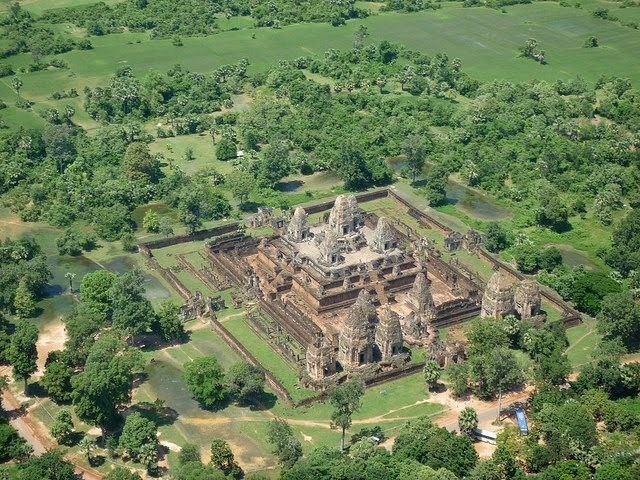 It is the biggest and most stunning among the temples of Angkor with 3,6 kilometer outer wall. Climbing to the top of the central tower and have a great view of the whole Angkor Complex. 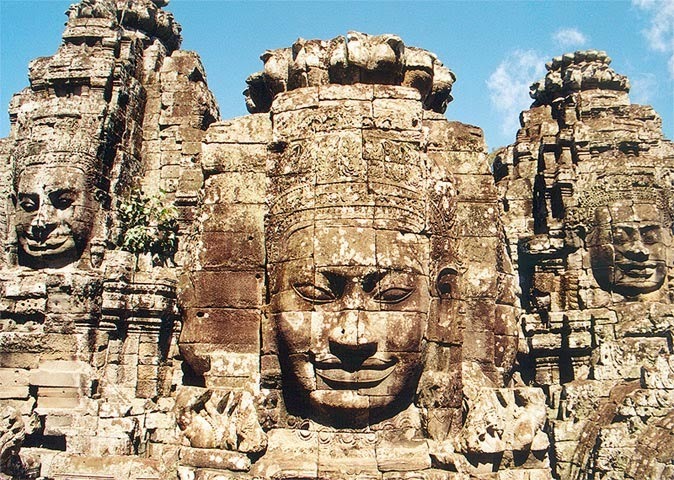 The mysterious 20 stone faces carved in the sides of the Bayon are things that visitors want to discover when coming to Cambodia. Walk through some dark, which seems you might get lost in the very low levels under the platform. This small temple is featured by the carved decorations not the overall design. 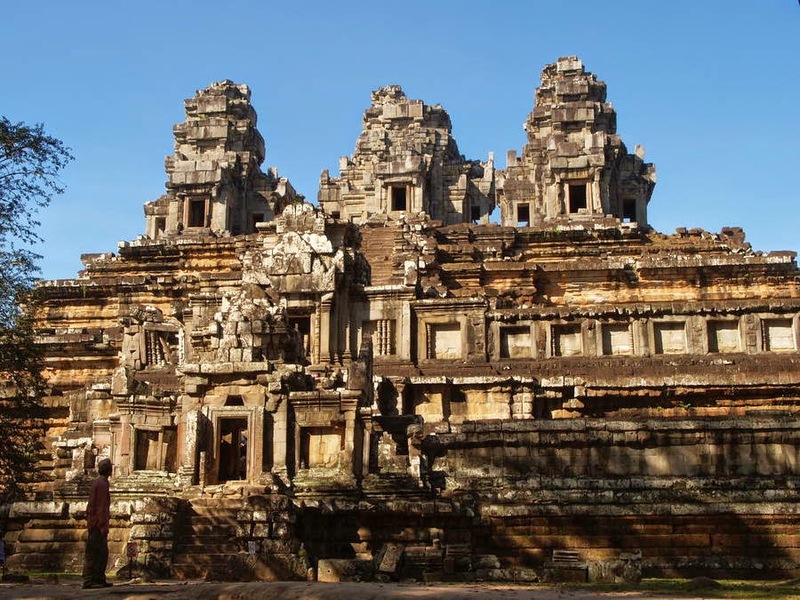 It is believed to be the oldest and the first temple built at Angkor. In fact, there are no decorations here. It attracts travelers as it’s a five-tiered pyramid with many steep staircases on each side. The fresh air created by the plants and trees here. 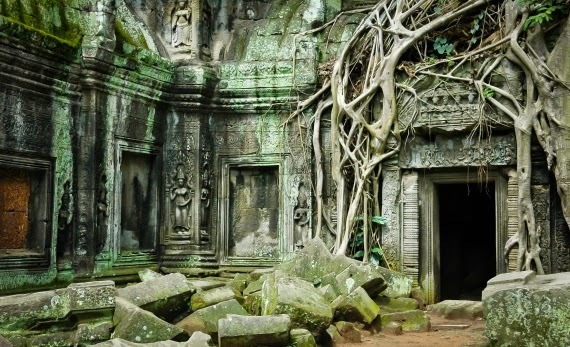 That’s the reason why Ta Prohm is one of the most popular temples for visitors at Angkor Region. Not being restored like other sites, it shows you how time affects its structure. Normally known as a mini Angkor Wat, Pre Rup consists of three central spires made of gray sandstones. Despite being worn away by time and weather, it’s still a magnificent site among Cambodia destinations. Built from rose-pink sandstone, this smallest site was decorated with epic Ramayana scenes and floral motifs. 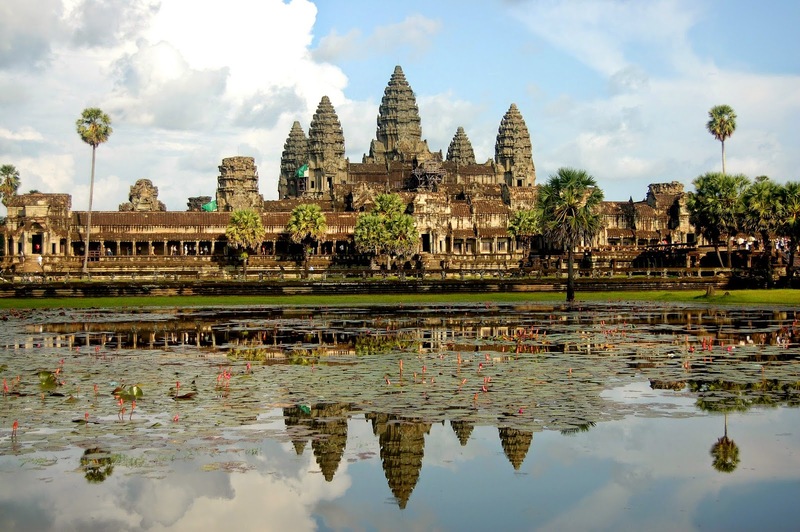 Beautiful photographs of Angkor Temple. It is one of the finest place of Cambodia. In India so many place are available. Ranthambore is the one of best place to explore heritage of India. Combodia is very cheap and best place to visit for every one.. this place is so beautiful and you can seen it natural objects. beautiful temple and thanks for shearing this article. Thanks so much for the work you have put into this post.